Posted on the April 28, 2016. 1. Wild Orange is known as “The Oil Of Abundance”, as described in Daniel McDonald’s book ‘Emotions & Essential Oils – A Modern Resource for Healing’. Try putting a drop or two of Wild Orange in your purse or hand bag, add Ginger to the combo to enhance abundance and prosperity even more. “…At its core, Wild Orange teaches the true meaning of abundance. It encourages individuals to let go of scarcity mindsets with all of their manifestations, including: fear, nervousness, inflexibility, workaholism, lack of humour and the belief that there is not enough. Wild Orange reminds the soul of the limitless supply found in nature. Fruit trees, like orange, give freely to all in need. Wild Oranges teaches individuals to give without thought of compensation. In nature, there is always enough to go around. Wild Orange encourages individuals to let go of their need to hoard, which is the epitome of scarcity. 2. Add 1-2 drops in your glass of water for a fresh citrus burst of flavour. A great alternative for those trying to come of soft drinks. Drinking Wild Orange can promote a healthy immune function and is a powerful internal cleanser! 3. Add some drops to your favourite treats and smoothies!! Absorb all those powerful antioxidants by adding Wild Orange to your food. Check out my ‘Raw Orange Chocolate’. Soooo Yuuuummmmyy!! 4. Place one drop each of Wild Orange, Peppermint & Frankincense essential oils in the palm of your hand ( or a diffuser) and rub together, closer your eyes and deeply inhale. An all nat-u-ral “pick-me-up” for when that afternoon energy slump hits!.. So powerful! 5. Take 1-2 drops in an empty vegetable capsule to support a healthy immune system. 6. Make a divine sugar body scrub. Take 1/2 cup of brown sugar and 1/2 cup of fractionated coconut oil. Add 10 drops of Wild Orange essential oil and store in a glass jar. To use, apply a small amount to hands and scrub for 30 seconds or until sugar dissolves. Rinse with warm water and pat dry. 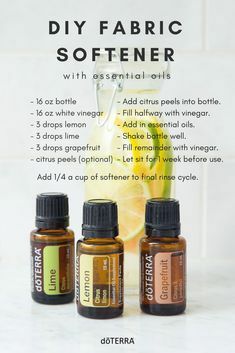 You can try all sorts of combinations of oils for this sugar scrub, just be aware if using Citrus oils not to spend time in the sun for 12+ hours after using as it can make your skin more photosensitive, best to use at night or if you will be working indoors. 7. Try making this gorgeous DIY Lip Balm or give the premade Wild Orange and Peppermint lip balm a go, so lovely!! 8. Make your own Glass Cleaner! Chemicals in cleaning supplies can be hazardous to your health and the environment. Take the risk out of household cleaners by making your own cleaners at home. They’re affordable, easy, eco-friendly, and more effective than store-bought cleaners. Add vinegar, water, and essential oil(s) to spray bottle and shake. You are ready to clean! 9. Make your own non-toxic potpouri! 10. Make your own natural, non-toxic wood polish! Bring back the shine to your favorite tables, countertops, floors, and more with this simple recipe. 1. Add olive oil and vinegar into glass spray bottle. 2. Add 10 drops of essential oil. 3. Shake well before each use. Apply to a microfiber cloth and wipe wood surfaces clean. Repeat every 2-3 months or as often as needed. 11. DIY All Purpose Spray. There is no need to pull out your rubber gloves and surgical masks when you clean your home. It might surprise you to know that you can concoct simple and inexpensive non-toxic cleaners from ingredients already lying around your house. 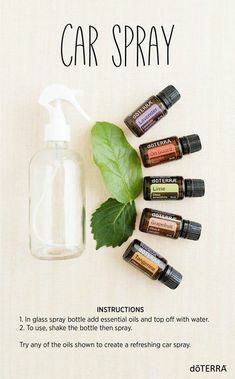 Using essential oils to create your own cleaning spray is not only safe on the environment, but is safe for your family as well. This spray is perfect for cleaning hard surfaces in the kitchen, bathroom, etc. 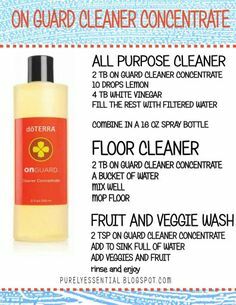 A combination of any of the above essential oils would work great in your homemade cleaning spray. Experiment and find what works best for you. 12. Got kids? Make your own DIY Aromatherapy Play dough! < < Recipe! This activity is a great way for children to learn about aromatherapy and essential oils. Use a variety of oils and colours to help kids learn new scents. Some fun essential oils could include: Wild Orange, Peppermint, Lemon, Rosemary, or Lavender to help turn play time into nap time. Have you tried doTERRA’s Wild Orange before? It’s Ahhhmazing, I’ve never met anyone that has smelt it and not fallen head-over-heals for it. 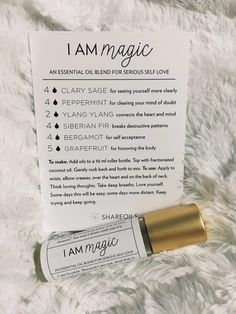 Click here to here to get started on your essential oils journey and open your own account today! You’ll receive a FREE 5ml Wild Orange from me when you join! 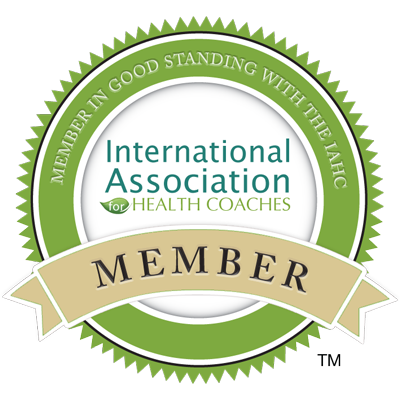 *These statements have not been approved by the Food and Drug Administration or the Therapeutic Goods Association. These products are not intended to diagnose, treat, cure or prevent disease.